The first glorious intro I had to San Francisco group Birds & Batteries came with their explosive experimental take on Neil Young’s classic “Heart Of Gold” off their previous LP I’ll Never Sleep Again. With their new album Stray Light, they’ve held on to their diverse cocktail of folk Americana and M83-quality electronic, but have embraced the not-quite-cheesy-but-almost-there ‘80s pop harmonies. On opener “The Golden Age of Dreams,” the synths slowly bloom into the forefront, as singer Mike Sempert sets the tone: think driving through a long tunnel and when you get there, everyone’s dancing and waving flags. On “Be My Girl,” Sempert croons along to a looped whistle and heavy bass, insisting “Drop the weight of the world / I know you’re gonna be my girl.” However, the best track of the album honor goes to “Love Is Coming Back,” which has a chorus so catchy that it sort of reminds us of that ‘80s classic “Your Love” by the Outfield (awesome, right?). 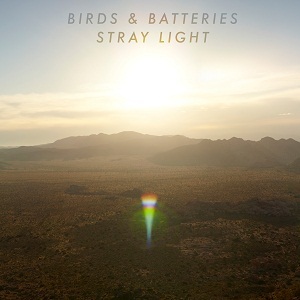 If you’re a fan of catchy pop hooks but get bored with generic manufactured Top 40, Birds & Batteries may be just what you need. Fair warning, Stray Light gets a little slow towards the end, but fear not. Spin it on your next drive to the beach – the ‘80s hooks, experimental electronics, and genuine lyrics will get you there safely and ready to sun. Save the slow songs for the drive back.